It may be too early to access the aftereffects of Ethan Couch’s sentence, where he avoided prison for killing four people in a drunk driving crash. Instead, the punishment was 10 years probation and two years in one of the most expensive (over $400,000.00 annually) rehabs in the country. The manner in which the media covered this story was appropriate in that the victims were able to talk about the pain this verdict caused them and the proper attention was placed squarely on the hired ‘expert’ who came up with the notion for a affluenza defense. Couch’s defense lawyers argued successfully was that their client was so spoiled and was never given any boundaries by his parents, that he didn’t know right from wrong. The judge handling Ethan Couch’s case, Jean Boyd, bought into the defense’s theory of affluenza. She won’t be seeking re-election and will be leaving the bench in 2014. But that’s not soon enough for the voters in her North Texas District. An online-petition requesting that Governor Rick Perry immediately remove Judge Boyd from office was posted within days after her sentence was issued. The sentence has triggered a wider discussion about our criminal justice system. The media examined the disparity in sentences between poor blacks and rich whites. A year earlier, Judge Boyd had sentenced a 14 year old boy to 10 years in prison for punching someone who fell and hit his head, causing his death. This juvenile was African-American and had no means for a high powered defense or a swanky rehab. The media deserves credit for profiling the rehab which Couch was sentenced to serve his ‘punishment’. The photos and description of the rehab sounded more like a heath retreat than anything that would remind the 16 year old that he had taken the lives of four innocent human beings. 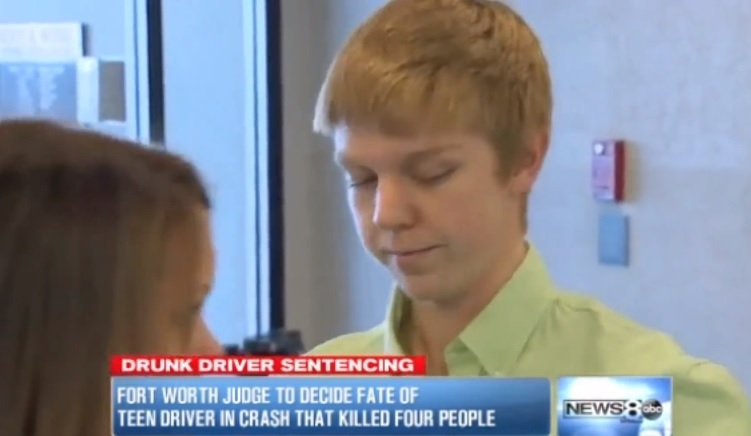 While this travesty of justice was a slap in the face to the victims of Ethan Couch, it’s unlikely that given the scrutiny this sentence received, it’s unlikely we will see another affluenza defense in the near future. This misguided form of justice where rich defendants can buy there way out of any consequences of their actions has had a long tradition in our court system. The Ethan Couch case has put a spotlight on this problems of our two tier justice system. Let’s hope it’s not going to set a bad precedence for other judges and prosecutors. There are certainly lessons to be learned here. Time will only tell if we repeat this history.